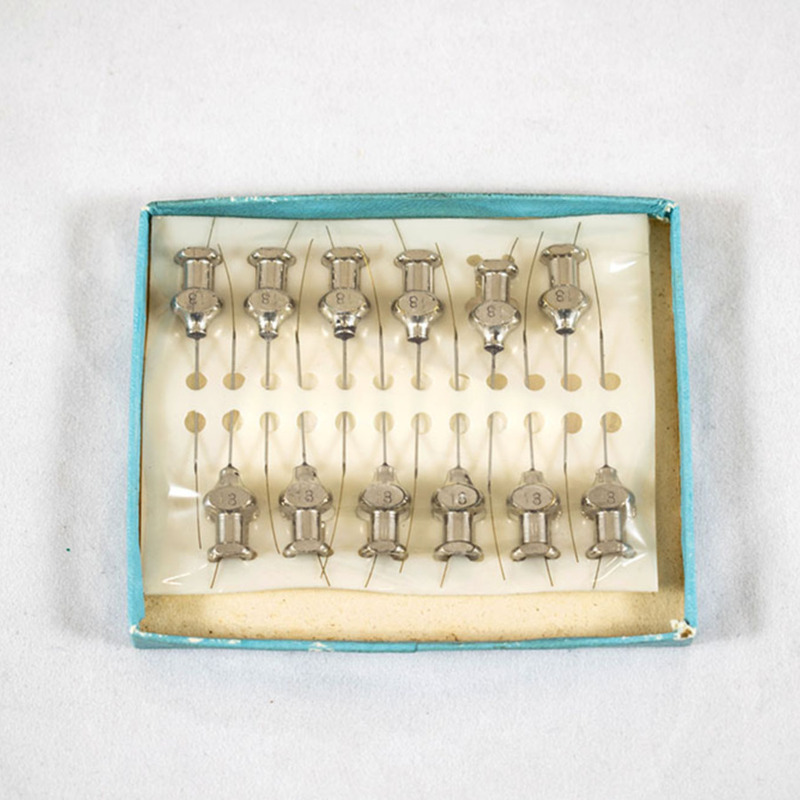 Stainless steel hypodermic needles held within cardboard box. 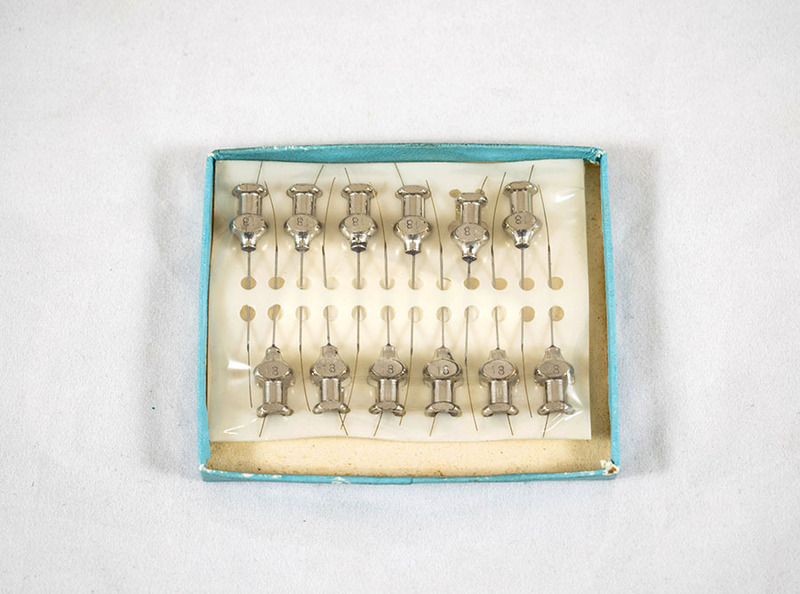 These needles are from the surgical bag of Maud Perry Menzies. 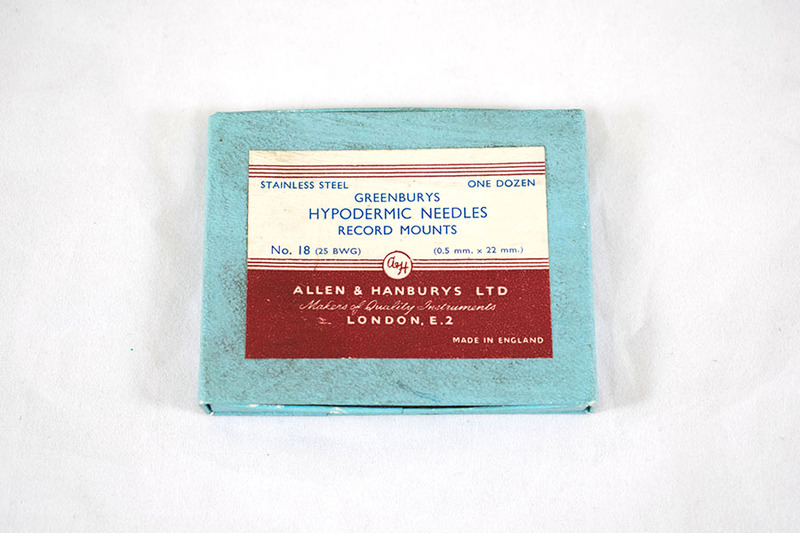 “Hypodermic Needles,” Heritage, accessed April 25, 2019, https://heritage.rcpsg.ac.uk/items/show/419. Description: Stainless steel hypodermic needles held within cardboard box. 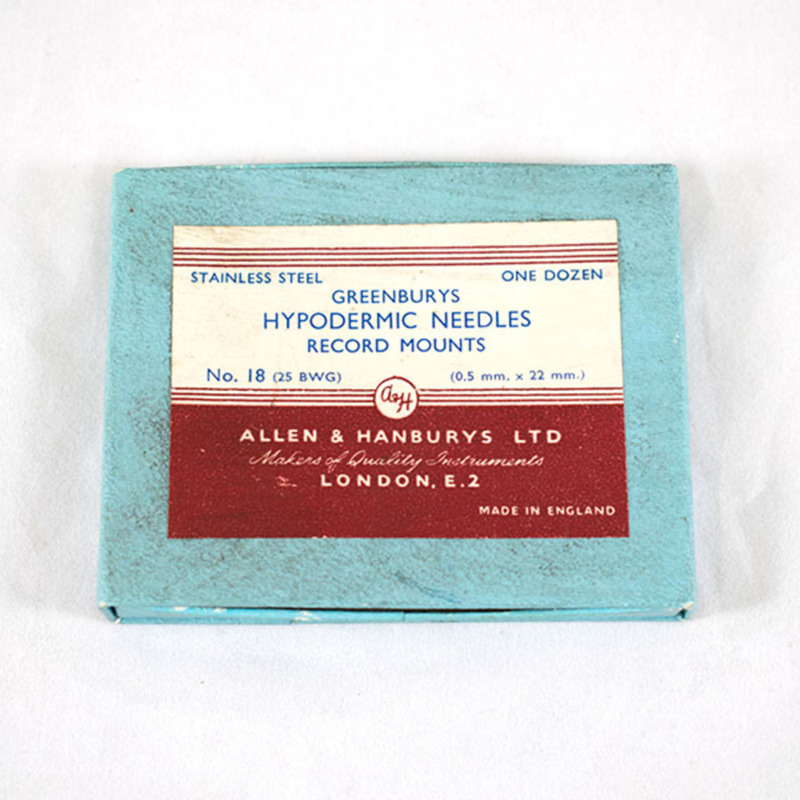 These needles are from the surgical bag of Maud Perry Menzies.